Halloween is just around the corner and I skipped doing a 10 for $10 for it last year – so here we go! 10 Halloween gift ideas for $10 or less. Halloween goodies don’t need to rot your teeth – but they can smell just as amazing as candy! Both of these Lush goodies had fangtastically delightful scents; from Nightwing’s hint of lime and licorice to Lord of Misrule’s dramatic patchouli and pepper aroma. Old Navy has a ton of cute Halloween PJ ideas for the whole family, but these onesies won me over for their wearability outside of witching hours. 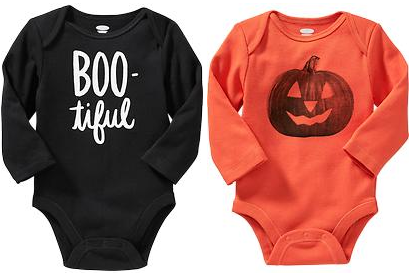 Available in two styles, these whimsical body suits are perfect for a little one celebrating their first Halloween. 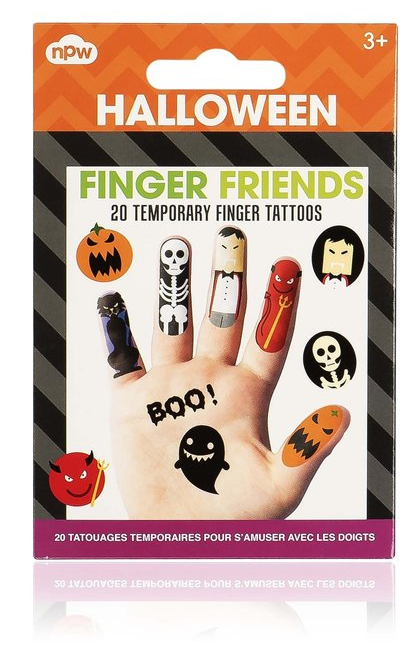 Get ready to tell some spooky stories by tattooing your fingers with these temporary Halloween-themed tattoos. With 20 in total, you and a friend can give every finger a character of their own and craft wild and wonderful tales. It’s a fun twist on finger puppets that makes for a great gift to stash in your kid’s treat bag. 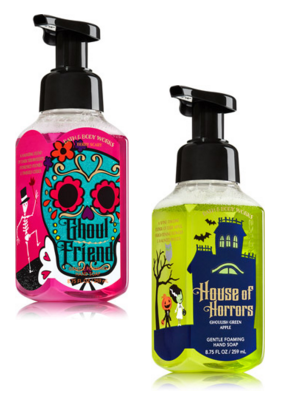 Treat the hostess this Halloween with a cool hand soap from Bath and Body Works (purveyors of dozens of Halloween and fall-themed goodies). Since the names don’t tell you much, House of Horrors mixes apples with haunted woods and flowers, while Ghoul Friend is a ‘berry scary’ blend of dark strawberry, peonies and citrus. Add a little festive flair to the dinner table with this 36″ table runner. Impactful on any colour of table cloth, it’s a spine-tingling way to set the mood for your Halloween fete. There’s no reason why your pooch can’t get in on the spooktacular action – this charming yet tough chew toy will withstand even the fiercest hellhound’s bite. Show off some Halloween pride come October 31st with a pair of snazzy socks that celebrate the season. From vampire caped pugs to 3D pumpkins to eerie skeletons, ASOS has got your feet literally covered. 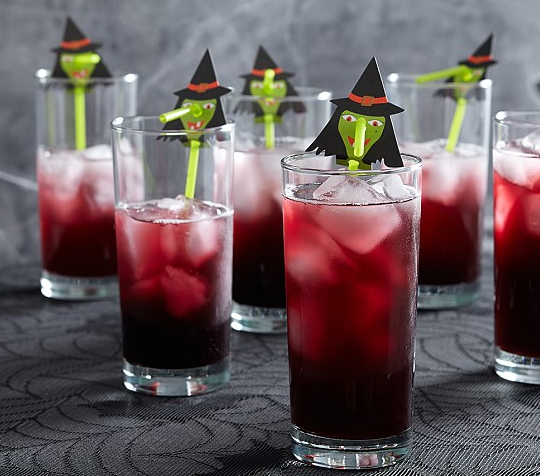 Make that blood red punch extra eerie with the addition of a fun witch-shaped straw. Rendered in a lime green hue with a paper wicked witch’s head, it’s a great accent for any Halloween gathering. How cute! 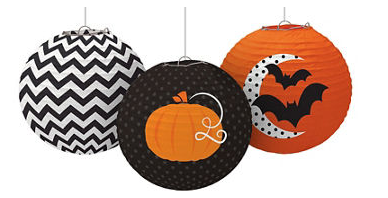 Party City has 10 different Halloween party collections this year and I fell for the ‘Modern‘ line, which includes these adorable paper lanterns. Hang ’em over any ol’ bulb in your home for an instantly festive freaky vibe. If your tween or teen feels like they’re too cool for Halloween, gift ’em with this fun layered glitter polish that includes seasonally appropriate specks of orange, purple, green and black. BONUS entry into this month’s Odacite giveaway – tell me in the comments below, what’s your favourite Halloween find in this year’s Halloween 10 for $10 post? The nail polish because I adore sparkles! They are all excellent finds. I like the hand soaps. I like the socks (especially the skeleton ones) and the nail polish. I just love weird socks anyway so that’s me choice! Socks. All of them. The Ghostess with the Mostess Nail polish. Perfect for too old for the “baby” stuff but still secretly loves Halloween. 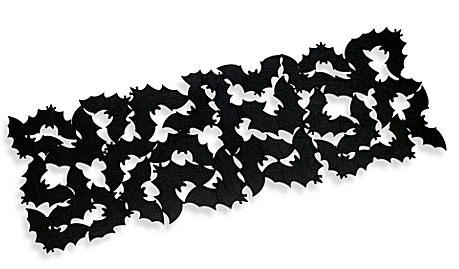 My favourite is the Felt Bat Table Runner! I love the Ghoul Friend hand soap! Those Halloween Straws would be a hit with my grandkids. I love the Hallowe’en socks. 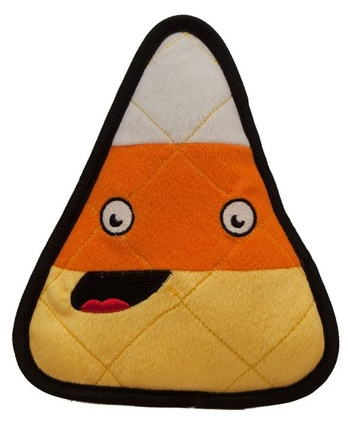 I honestly want the candy corn plush toy for myself. Its too cute! Lush is always my favorite and that bat shaped shower jelly is super awesome! I love the China Glaze Ghostess With The Mostess Polish! I love the China Glaze Ghostess With The Mostess Polish – $7.95 @ Nail Polish Canada! I like the spooky socks. I’d be tempted to use those all year round. I love the witch straw set. I love the nail polish! Thank you! I like the Bath & BodyWorks hand soaps. Cute. They always come out with cool themes. I had to pick up a couple Halloween onesies and the candy corn toy for my new nephew after I read this!